The following activities were implemented by the Institute according to the Executive Council’s recommendations. A symposium on “Boosting Afro-Arab cooperation” on the sidelines of the 3rd Session of the Executive Council 17 January 2003, Tunis. A symposium on: “The Cultural Heritage in sub- Saharan Africa” on the occasion of the Second Anniversary of the establishment of the Institute, in Bamako, April 2004. 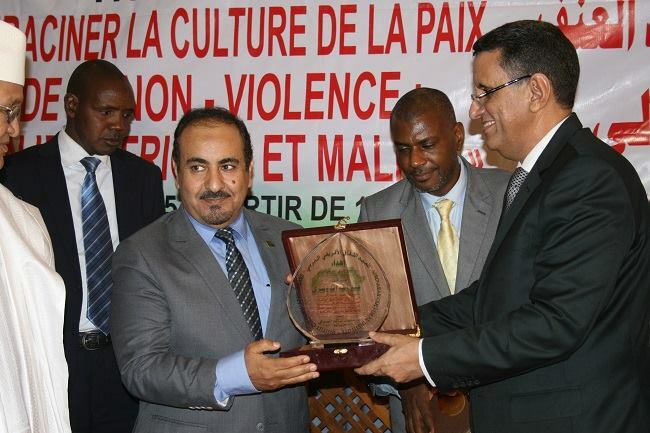 A meeting in Bamako on: “The Strategy of Afro-Arab Dialogue” in May 2004 in association with the Malian National Youth Council. A brainstorming meeting on a proposed symposium on Afro-Arab cultural relations, June 2004, in Tripoli, in association with African Centre for Applied Research and Training in Social Development (ACARTSOD) affiliated to the African Union. A symposium on: “The Reality of Arab culture in Africa” on the sidelines of the 5th session of the Institute’s Executive Council in Damascus, December, 2004”. A symposium entitled: “Islam and The Teaching of Arabic in Africa: Evolving from individual efforts to institutional work” on the sidelines of the 4th Session of the Institute’s Scientific Council in Dakar, July 2005. A regional symposium entitled: “Socio-cultural aspects of Timbuktu” held in association with the ISESCO, November 2006, Timbuktu, Mali. An international symposium entitled: “National African Languages as a Space for Afro-Arab Complementarity”, Tunis 2006.
International conference on: “Mutual Afro-Arab Perceptions in School Curricula”, 2007, Kaduna – Nigeria. Participation in Saudi Cultural Week in Senegal 16-24 February 2008, Dakar – Republic of Mali. The Institute served as a focal point between the Foundation of King Abdul Aziz in Riyadh and African academics to organise the international symposium on King Faisal Ibn Abdul Aziz, 11-13 March 2008, Riyadh – Kingdom of Saudi Arabia. A symposium on the famous Arab explorer Ibn Batuta on the occasion of the unveiling of Ibn Battuta’s statue donated by the Institute , April 2008, Bamako, Mali. A symposium entitled: “Kiswahili: Testimony of Afro-Arab relations” 14-15 December 2009, Nairobi, Kenya. Organisation of the Senegalese Cultural Week in association with the Senegalese Ministry of culture, 3-9 March 2010, Riyadh, Saudi Arabia. The Institute organised joint training sessions for Arab and African cadres within the framework of technical assistance to Arab and African countries in the field of preserving the cultural heritage. A workshop on: “The Role of the Afro-Arab Cultural Institute in Developing Afro-Arab Cooperation” held in March 2006, Timbuktu-Mali, in association with the Malian Ministry of culture on the occasion of choosing Timbuktu as the Capital of Islamic Culture for Africa 2006. Designing Museum Management Software as well as training 13 museum specialists from West Africa in July 2007, Bamako, Mali. This project was carried out in association with the ISESCO, the UNESCO, the WICS (World Islamic Call Society). A training session on the restoration and renovation of manuscripts at the Centre of Manuscripts in Raghada in Kairouan, Tunisia, February 2008. The training lasted 15 days with the participation of 16 persons from Arab and African countries namely : Egypt, Saudi Arabia, Libya, Jordan, Mali, Senegal, Tunisia, Benin, Guinea, Mauritania, Burkina Faso and Niger, as well as some institutions working on manuscripts. The training session was implemented in association with the AFTAC (Arab Fund for Technical Assistance to African Countries). A regional workshop to validate a Guide and Museum Management Software in association with ISESCO, UNESCO, WICS and the Institute, Ouagadougou, Burkina Faso, June 2009. Maps Exhibition of African pilgrimage routes, on the sidelines of a symposium entitled: “Kairouan, a transit site on the African pilgrimage route”, May 2009, Kairouan, Tunisia. Publishing a book entitled (Heritage of African Languages Manuscripts in “Ajami”) in Arabic, English and French 2005, Cairo. Issuing the Institute’s Yearbook in English, French and Arabic, 2008. Publishing a book entitled : “Repertoire of the Centre of Sidi al-Mukhtar al-Kabir al-Kunti for Documentation and Research” 2011. Donating a bronze statue of Ibn Battuta, the famous Arab explorer, erected in the Square of Great Explorers, Bamako, March 2008. A Senegalese folkloric show on the sidelines of the meetings of the 4th session of the Institute’s Scientific Board, July 2005, Dakar – Senegal. Participation in a number of regional and international cultural activities.